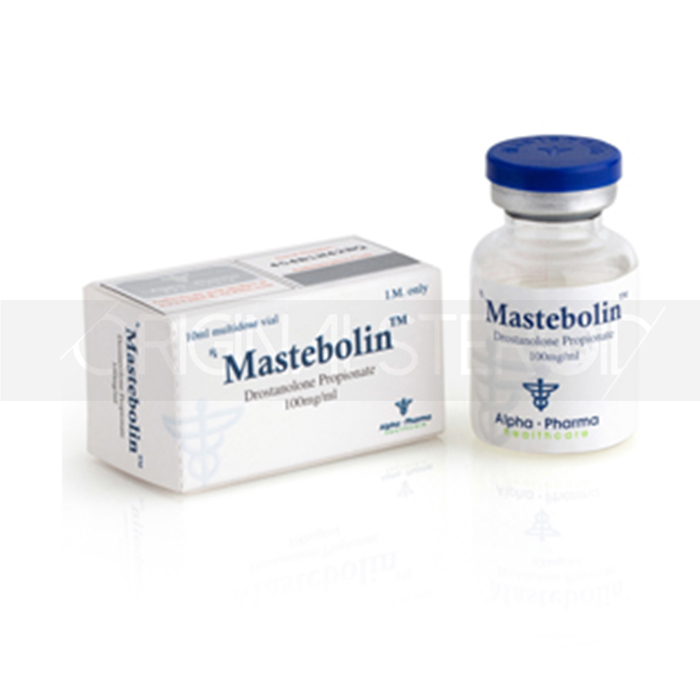 If you are looking for a steroid with a powerful anabolic and androgenic effect, then an excellent choice would be a drug called Mastebolin, produced by the Indian company Alpha Pharma. It is produced in the form of injections, and the main active ingredient in its composition is drostanolone propionate. It should be noted that drostanolone can be represented both in the form of propionate esters and in the form of enanthate esters. Both have a similar effect, differing only with each other depending on the time of action. Propionate ester chains have a shorter length, so when it enters the cells, it begins to act immediately. This property has made it popular with athletes undergoing “drying” courses, as well as those athletes who wish to become stronger and more enduring without significant changes in body weight. The basis for the production of Drostanolone is hormone dihydrotestosterone. Thanks to the latter, it is possible to obtain a substance that is not only used in sports pharmacology, but also in traditional medicine, for example, for the treatment of oncology of the female breast. Get rid of excess fatty tissue. In this situation, much depends on the initial weight of the athlete, his diet and portable loads. For example, research conducted by scientists showed that taking a Mastebolin course during a diet can reduce fat reserves by 5-7%. Give the muscles elasticity and relief, which makes the described drug ideal for reception before important competitions. Save muscle mass at the end of the course. Athletes have resorted to the course of mastebolin in cases where they need to maintain the previously gained muscle mass. During the week you need to do 3-4 injections. During this time, the body should receive from 400 to 500 milligrams of the drug. The exact duration of the course and dosage are determined depending on many factors, among which it is necessary to single out the individual characteristics of the organism, the experience of completing similar courses, the goals pursued, etc. In this case, consultation with a specialist will be useful. You can take mastebolin in combination with other drugs. Since the presented agent is to a certain extent similar to the androgen receptors, it is more rational to supplement its course with Winstrol, which significantly speeds up the “drying” process, or oxandrolone. If you want to build muscle, then you can additionally take testosterone. It should be remembered only that in such a situation it will be necessary to reduce the rate of production of the endogenous form of testosterone, which gonadotropin will do perfectly well. Increase the level of aggression. Despite the above list, taking Mastebolin is not capable of causing a deterioration in liver function, fluid retention in the cells and an increase in pressure.